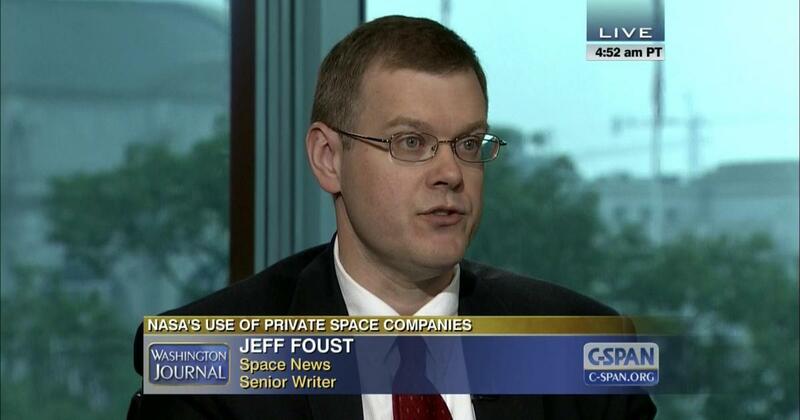 Jeff Foust is a senior staff writer for SpaceNews, joining the publication in September 2014. He covers civil and commercial space topics, ranging from NASA programs to developments in the entrepreneurial NewSpace field. He has more than a decade of experience writing about space policy, commercial space, and related topics. In 2003, he started The Space Review, a weekly publication of longform articles and commentary on a wide range of space topics that continues to operate to this day. He earned a Ph.D. in planetary sciences from the Massachusetts Institute of Technology in 1999 and a B.S. with honors in geophysics and planetary science from the California Institute of Technology in 1993.